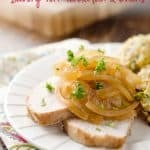 Crock Pot Savory Pork Tenderloin & Onions is a moist and flavorful pork loin recipe made in your slow cooker for an easy and healthy dinner idea! The pork loin is marinated overnight in a savory mix of soy sauce, Worcestershire sauce, Dijon mustard, lemon, olive oil and spices. It is then slow cooked with heaps of onions for added flavor. 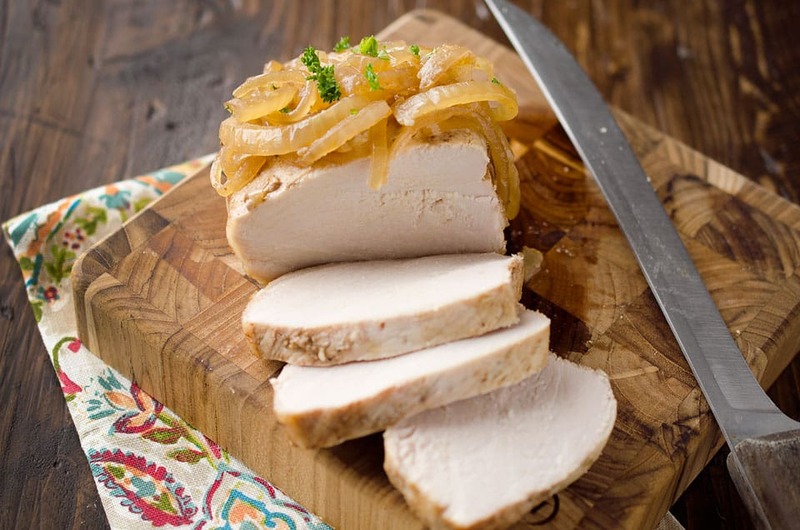 Top the pork loin with onions and enjoy with a side of veggies or pile it on some bread for a delicious sandwich for lunch. 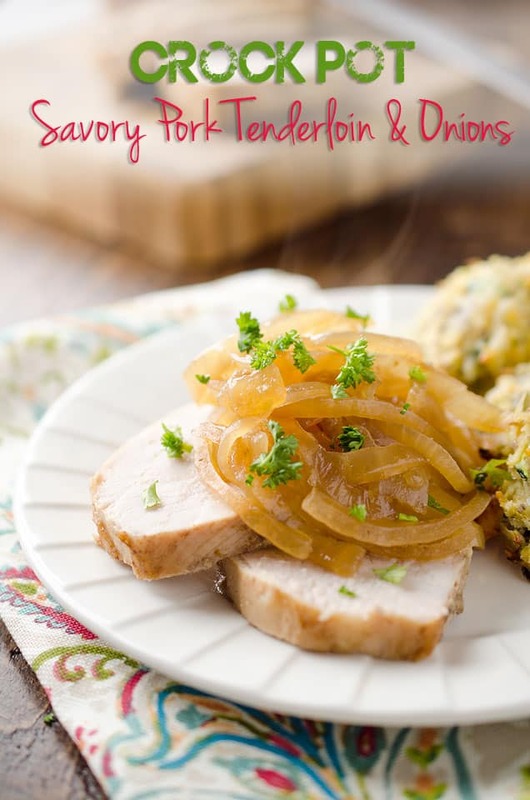 Any way you enjoy this pork, I can guarantee you will love how tender and delicious it is! If you are wanting sticky sweet caramelized onions, give them a 10-15 minute saute before adding them to the Crock Pot. Next week is moving day already. You can trust that I will be using my Crock Pot to feed the masses on that day. I am thinking a homemade tomato soup in the Crock Pot and some cheesy bread popped in the oven for lunch sounds like a good meal that will make everyone happy, picky eaters included. For dinner I might pop this pork loin in there, as it is another good crowd-pleaser. Wish me luck on moving day, that everything goes smoothly and we are all sane when its over! 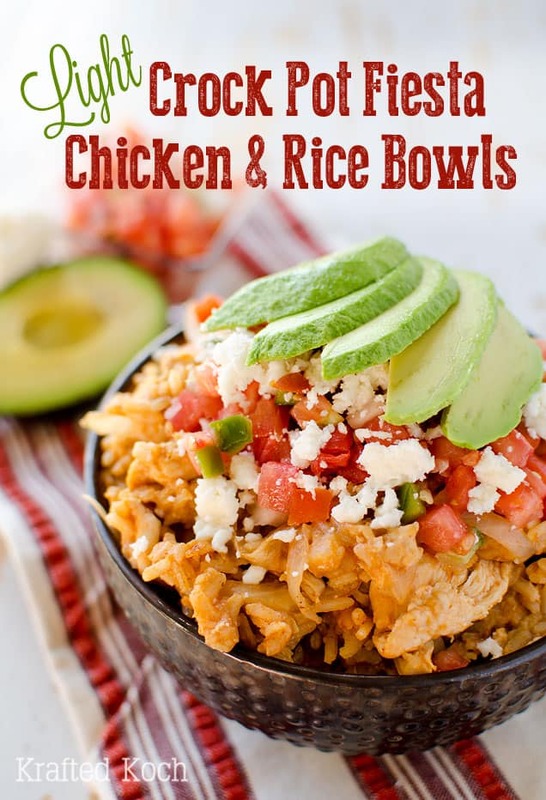 Unfold a slow cooker liner and place it in a large bowl. 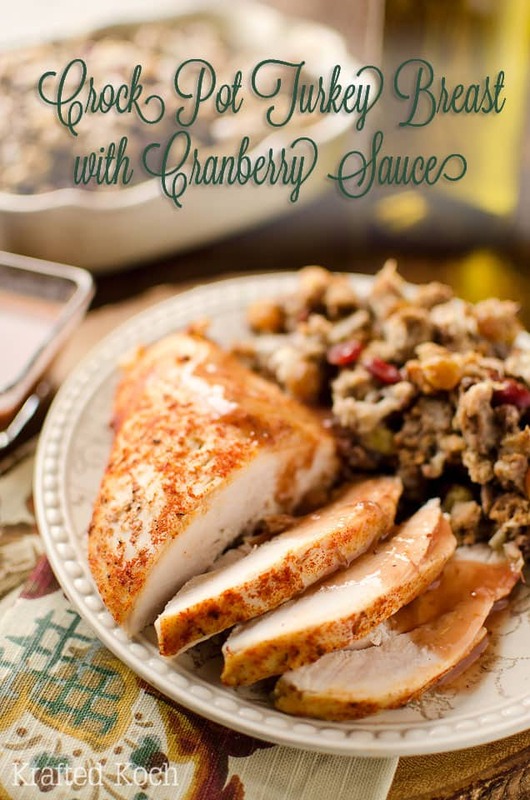 Add all of the ingredients, except the chicken broth, to the bowl and marinate over night or for up to 24 hours. Remove the filled liner from the bowl and place in your crock pot. Add the chicken broth and cook on low for 4-5 hours or until the internal temperature of the pork has reached 145°. 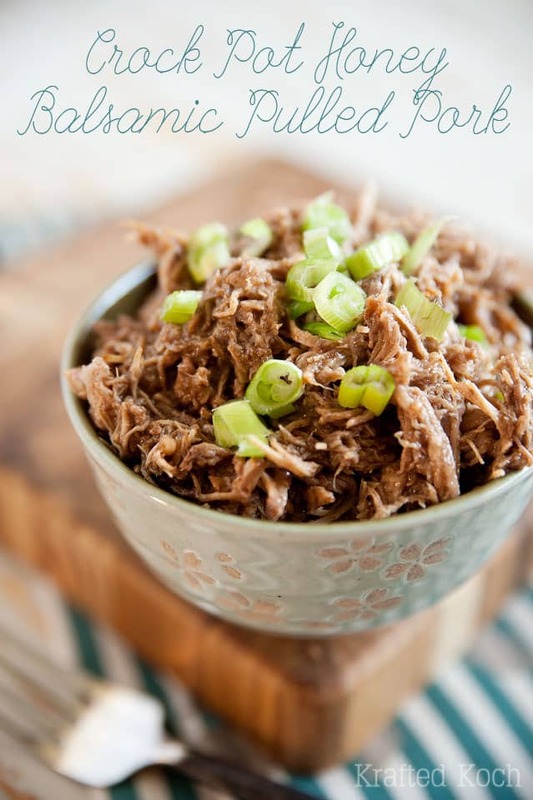 Remove the pork from the crock pot and allow to rest for 5-10 minutes before slicing into it. Serve topped with onions and the optional parsley. Ooohhh this looks fantastic! And I can saute those onions right in my Ninja 🙂 Good luck moving!